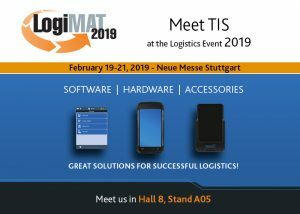 Visit us at our booth from February 19 to 21 at the LogiMAT 2019. We have lots of interesting news for you in the areas of TISLOG software, TISWARE hardware and TISPLUS accessories for logistics. On January 31st, Panasonic invites for the eighth time to an exchange of experiences & networking with industry experts. TIS GmbH will be there as an exhibitor and with a presentation. What do you do if you are planning an international assignment for one of your drivers and you do not have the option to give him the necessary documents as the driver is already on the road? Send him/her the necessary documents from TISLOG office Infodesk in a driver mail with attachment while he/ she is on the road! 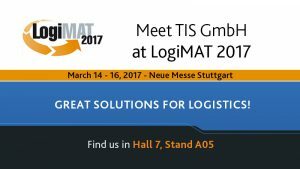 Meet the team of TIS GmbH in March at the LogiMAT 2017 in Stuttgart and learn more about our latest product innovations. Meet us in hall 7, at stand A05. TISLOG intra Vis shows warehouse employees the current position of shipments – Integration of video system solution CargoVIS from DIVIS in TISLOG – New gungrips from our own production. Spedition Ansorge is renewing their telematics solution for long distance service, existing since 2009, and relies on the previous supplier TIS, which won in the selection stage against three competitors. TIS GmbH, which specializes in mobile telematics solutions, has received an order from European Contract Logistics Austria GmbH, a subsidiary of the Austrian Federal Railways (ÖBB), for providing a mobile order management system for 450 vehicles. The himolla Logistik GmbH relies on the telematics solution PSV3 from TIS and thus provides for a complete documentation of the entire supply chain during pick-up and deliveries.